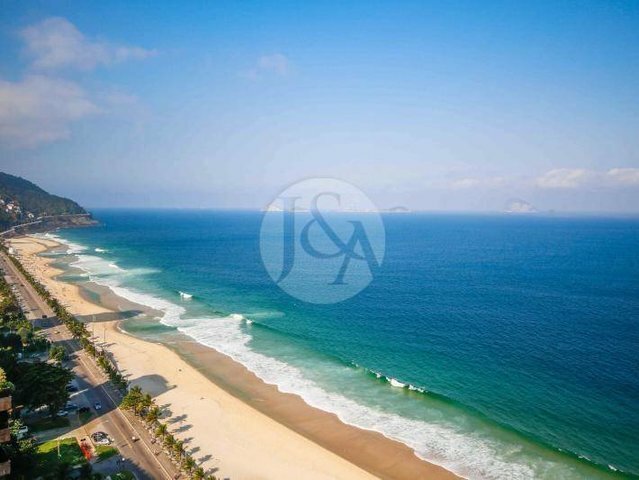 Exceptional beachfront penthouse with 4,822 sq-ft and superb ocean views, in São Conrado, Rio de Janeiro/Brazil. Comprising an entrance hall, living and dining rooms, open porch, gourmet kitchen, 02 toilets, separate pantry, an utility room and a large laundry area. The staff quarters include one bedroom and a full bathroom. The family area comprises four bedrooms, all of them with en suite bathrooms and a separate full bathroom. Featuring an elegant and contemporary layout, the property offers sophisticated finishings and very sunny spaces. There is also a wonderful recreation area with swimming pool, steam room and terrace. In the building common area, there is a playground, a party room and a gym. Four parking spaces add more comfort to this fantastic residence.